About Anna Schlapp, BA, AACC, ACC – ADHD Coach and Creativity Coach. Anna Schlapp is the founder of Remarkable Difference ADHD Coaching. She is based in Exeter in South West England and coaches people with or without ADHD and Autism across the world. She particularly enjoys working with creatives, students, mums, executives, and people with an entrepreneurial streak. She occasionally offers scholarship rates for a limited number of students. As well as being a mum and running her coaching business, Anna is also a keen artist who likes experimenting with a wide range of media and subject matter. Anna enjoys organic gardening, and particularly relishes raising edible crops. Anna loves trying new recipes from all over the world, and cooking dishes from the vegetables and fruit she grows is a particular pleasure. Anna’s passion is to help people fulfil their true potential, and create a better future for themselves, as people who can understand, manage and work with their ADD/ADHD. As someone who has experienced many of the challenges of ADHD first-hand herself, Anna’s passion in life is now to help others become the people they want to be. Anna’s signature VIA Character Strengths are: Appreciation of Beauty & Excellence, Love, Love of Learning, Zest, Curiosity, Gratitude, Hope and Creativity. Before training as a coach and starting her own ADHD Coaching practice, Anna previously worked as a trainer and facilitator, training teams and facilitating workshops for various public sector (within Health, Education and Social Care) and 3rd sector organisations all over Devon. Anna has been involved for many years feeding back to services what it means to be a parent of a child/young person with a disability, assisting in delivering Open University course modules among others, to help students better understand approaches that work with these families. 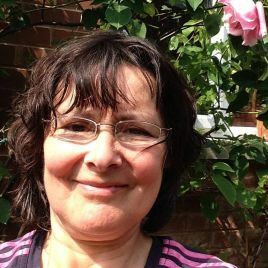 Anna has also participated in research involving engagement with seldom heard groups, to enable their voices to be heard and to support and empower them to have more control in their own lives and open up new opportunities for them. Anna has also worked as a volunteer for a local charity, helping vulnerable adults to transition from supported accommodation into managing their own tenancies and getting their lives back on track. Following the changes to the former “statementing” system of Special Educational Needs, Anna has felt first hand, the impact that bringing in the new Educational Health and Care Plan (EHCP) has had, as she has spent much time and energy navigating the new system with her own young person, and helping other parents in the process. Anna actively participates in feeding back the views of parent /carers to commissioners and stakeholders with the aim of informing policies which can help build a fairer and better society for all people with Learning Differences, of whatever kind or combination.